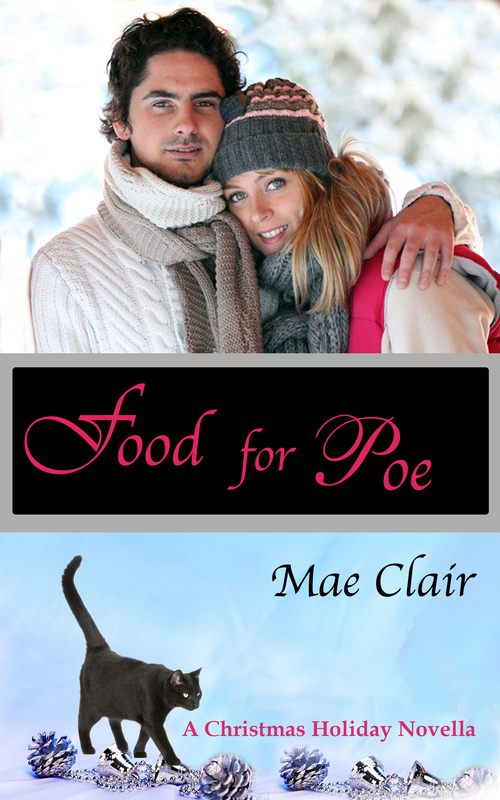 “Snow fell in well-defined flakes, delicate as lace, while I read Food for Poe, a charming Christmas novella, whose title takes on a whole new—and mischievous—meaning once the book is consumed. The story unfolds as a blizzard engulfs the characters, embracing them in a magical tale of miracles, love, renewal, and romance. With Mae Claire’s unique ability to weave romantic suspense with an ample serving of the fantastical, this novella makes the perfect companion for a wintry afternoon, curled up next to the fireplace, sipping on hot chocolate.